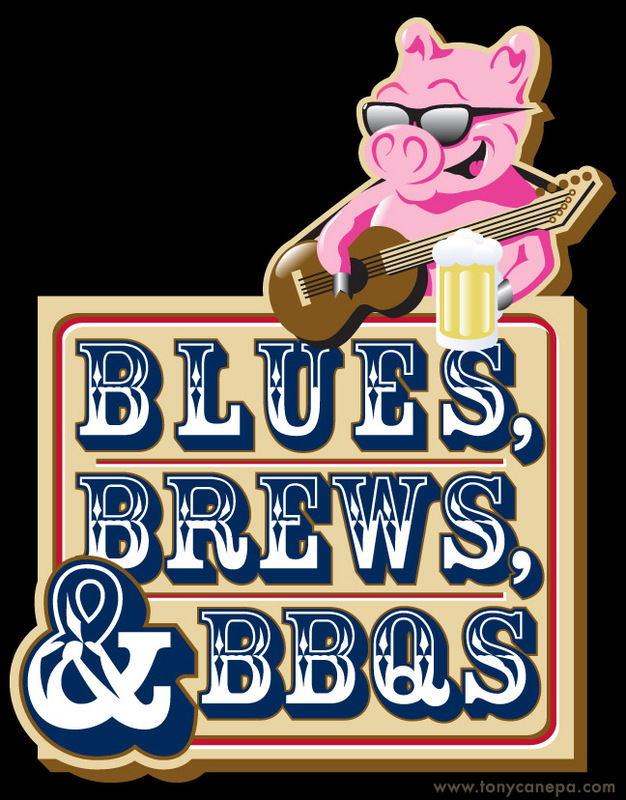 Logo created for the Tacoma, WA "Blues, Brews, & BBQs" festival. It was tough to figure out a fun way to work in the barbecue element, until I remembered something my dad told once. He said, "Always eat at the barbecue place with a pig on the sign." And in my experience that has been sound advice, the best food is always at the place with the pig. Aside from that, I think it also has a fun "Hitchhikers Guide to the Galaxy" quality, in that this pig is happy to be here, filling your belly.